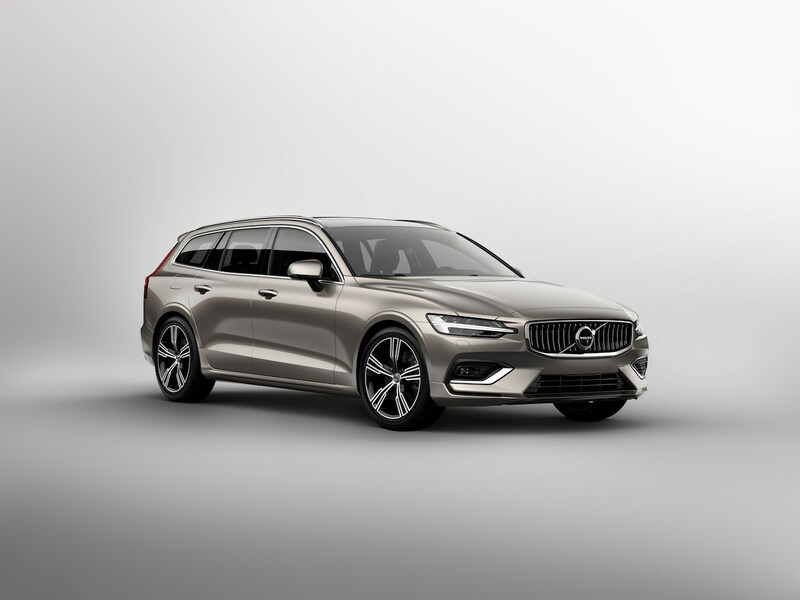 Volvo revealed the all-new 2018 Volvo V60 in Stockholm, Sweden yesterday. The fully redesigned model is now available to order in the brand’s home market. Volvo has introduced the 2018 Volvo V60 with not one but two plug-in hybrid powertrains. The Volvo V60 has moved to its second generation with the redesign. Looking almost like a mini-Volvo V90, the all-new Volvo V60 is 126 mm longer, 57 mm narrower and 57 mm lower than its predecessor. It measures 4,761 mm in length, 2,040 mm in width and 1,427 mm in height. Volvo has stretched the wheelbase by 96 mm to 2,872 mm. Both plug-in hybrid variants have a 10.4 kWh Li-Ion battery located centrally in the tunnel of the car. It provides a pure-electric driving range (NEDC conditions) of 45 km. On the outside, the 2018 Volvo V60 features LED headlamps in Thor's Hammer design, concave radiator grille with Volvo Iron Mark logo, 20-inch diamond-cut alloy wheels, L-shaped LED tail lamps and dual exhaust tailpipes. Power-operated panoramic roof, sport steering wheel, 9-inch Sensus touchscreen infotainment system with navigation, Apple CarPlay and Android Auto, front seat ventilation and massage, power side bolsters, power folding rear-seat backrests, 4-zone automatic climate control, head-up display and 1,400-watt, 19-speaker Bowers and Wilkins audio system with a 12-channel amplifier are some of the main interior features of the mid-size estate. Typical for a Volvo, the all-new Volvo V60 is equipped with a slew of advanced safety and driver assistance features. City Safety with Autobrake and Pilot Assist are the main ones. The City Safety with Autobrake technology assists the driver in avoiding potential collisions by using automatic braking and detection systems. The City Safety system is the only system out there that recognises pedestrians, cyclists and large animals. Moreover, in a world first, it now also engages autobraking to mitigate oncoming collisions. The Pilot Assist system is a semi-autonomous drive technology that works at speeds up to 130 km/h. The version employed in the latest Volvo V60 is an upgraded one with improved cornering performance. The 2018 Volvo V60 is available in Sweden in Momentum and Inscription grades. The 2018 Volvo V60 is available in Sweden in Momentum and Inscription grades. Prices start at SEK 3,17,000 (INR 25,34,685.13) and the production will commence in spring (March/April-May).